The CollegeInsider.com VIP Party was held Rooftop 866 and Briza, an Atlanta hotspot. The event was held to honor the award recipients and the coaches for who the awards are named. Coaches, athletic and conference administrators and industry professionals enjoyed the ambiance. Gourmet food the music of "Strictly Sinatra" and a cigar roller highlighted the evening. Don't miss the 2019 VIP Party in Minneapolis, site of the NCAA men's division basketball championship. 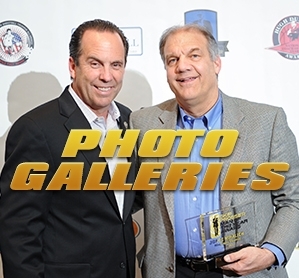 New Siena head coach Jimmy Patsos was the host for the 2013 CollegeInsider.com Awards Banquet in Atlanta. Saint Mary's senior Matthew Dellavedova talks about being the recipient of the 2013 Henson Award.